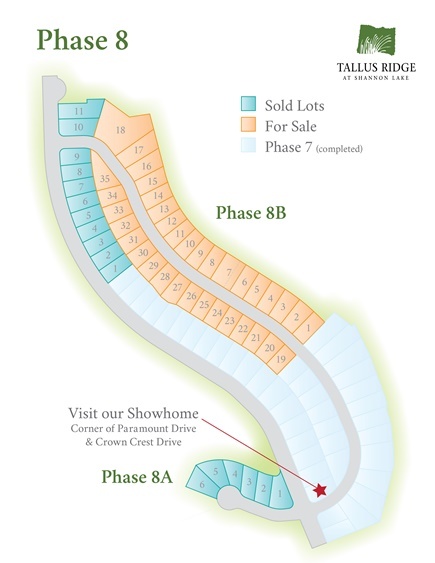 Create your nest at Tallus Ridge! Build your next home with one of our current home builders or have your own builder approved. Enjoy family and life as you’ve always intended it to be. Tallus Ridge is perched on the West Kelowna hillside, in the vibrant Shannon Lake community. With almost a third of the development dedicated to green space, this family-friendly community is built with the Okanagan lifestyle in mind. Enjoy golf, hiking, fishing, water sports, mountain biking, and more! Close to the neighbourhood playground, schools, Okanagan Lake, shopping, wineries, and all the amenities of West Kelowna, and just a short drive to downtown Kelowna. PHASE 8 – ONLY 8 LOTS REMAINING! Phase 8 features beautiful walkout and walk-up lots with a variety of valley and lake views. No matter which Tallus Ridge property you choose, you’ll discover an exceptional home site in a wonderful, purpose-build community. Choose from stunning mountain and valley view lots in West Kelowna’s premier family neighbourhood. Own a piece of the Okanagan with the stunning views and welcoming atmosphere of Tallus Ridge. This exclusive new neighbourhood within Tallus Ridge will boast executive lots with sweeping views. 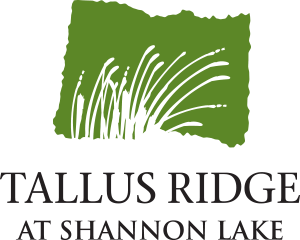 If you’re thinking about building your dream home, discover Tallus Ridge. If you would like more information on Tallus Ridge at Shannon Lake please contact Points West Realty Group, by phone 250-860-0303 or via email. *This is not an offer for sale. Such an offering can only be made with a disclosure statement. E. O. & E.
If you would like more information on Tallus Ridge Building Lots please contact Points West Realty Group, by phone 250-860-0303 or via email.